Are You Worried About Being in Compliance? Are you aware of the TAX LAW CHANGES from year to year? Have you or your business received a NON-COMPLIANCE NOTIFICATION or are you BEING AUDITED by the IRS? Has running your business left you with no time to keep updated on the NEW LAWS & REGULATIONS in effect? Are you concerned about your COMPANY STRUCTURE and/or what regulations apply to your company to be compliant? Do you know WHEN & HOW TO FILE various state and federal forms to remain compliant? 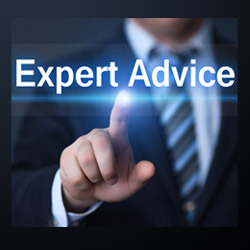 Providing you with expert oversight, knowledge & advice regarding the complicated and ever-changing tax regulations. 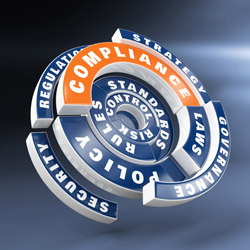 Helping you assess your compliance risk profile, competitive position and business performance. Assisting you to get & remain compliant to safeguard your company and reputation. Providing more time for you to run your business without worrying about the ever-changing and complicated compliance issues. With all the changes and additions to employment-related state and federal laws and regulations in the last few years, it can be difficult for small businesses to keep up with the avalanche of compliance hurdles on a day-to-day basis. iPay Payroll Solutions can help increase the ease of compliance and reduce the risk of violations and penalties, not to mention reducing the risk to your reputation. Our services are designed to meet specific needs of small and mid-sized businesses in many different industries. Compliance doesn’t have to just be about prevention. It can also provide a wealth of opportunities to strengthen your organization. Through careful strategy and proactive measures, we can help you uncover value and reach your company’s full potential. We will help you assess your compliance risk profile, competitive position and business performance. We can also advise you on the latest regulations should you choose to enter a new market or industry, enabling you to make the best strategic decision. Compliance remains a moving target with the continuing regulatory changes. iPay Payroll Solutions can help you stay on track with a ruthless focus on increasing value by assuring compliance.